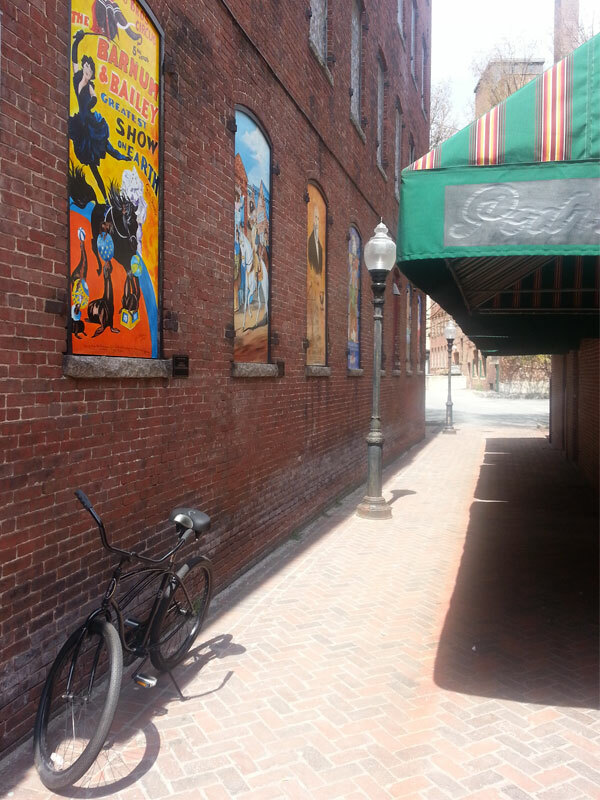 Team Haverhill’s public art initiative has a mission of bringing high quality artworks to the downtown. 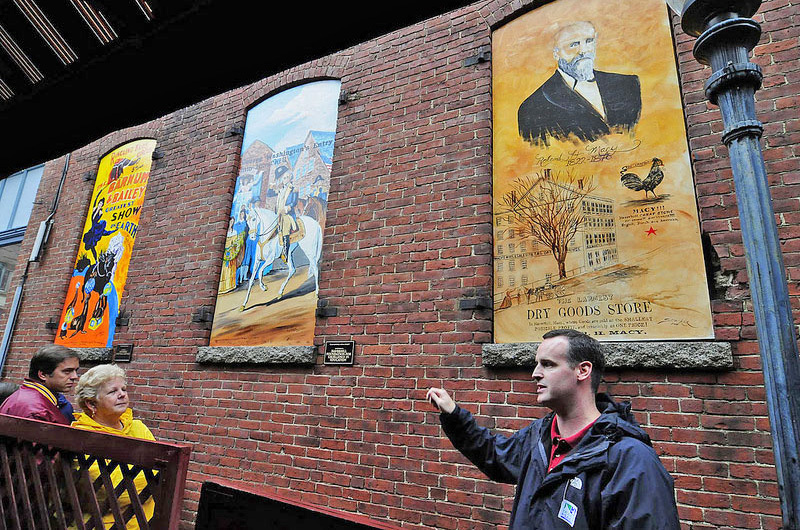 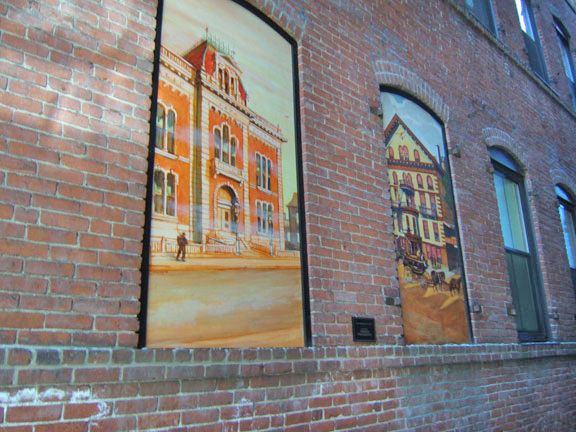 More than 30 eye-catching murals depicting Haverhill history adorn what used to be boarded-up windows on historical downtown buildings. 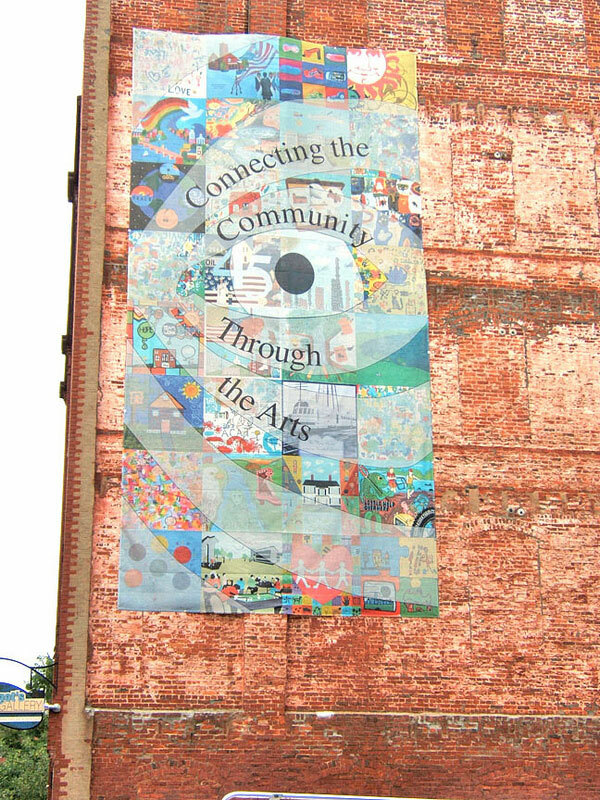 Many generous sponsors and businesses supported this concept and gave generously to make it a reality. 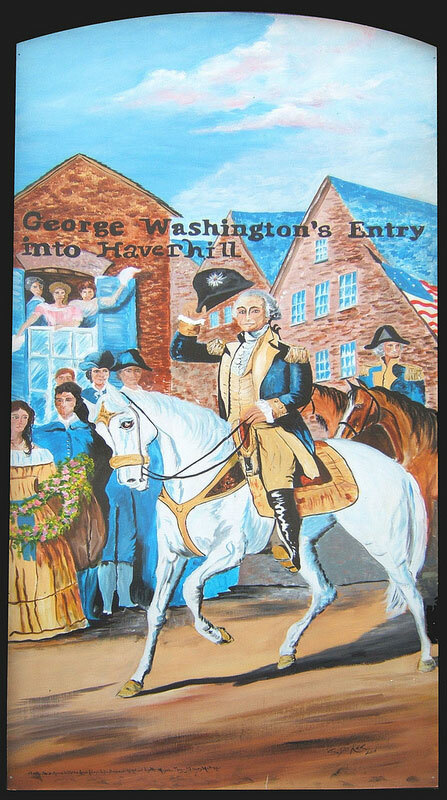 You can be greeted by John Greenleaf Whittier at the “Window of the Past,” or experience George Washington’s visit to Haverhill, Archie Comics’ chocolate shoppe, Barnum and Bailey’s woman circus performer Gert Swazey, and noted children’s author John Bellairs. 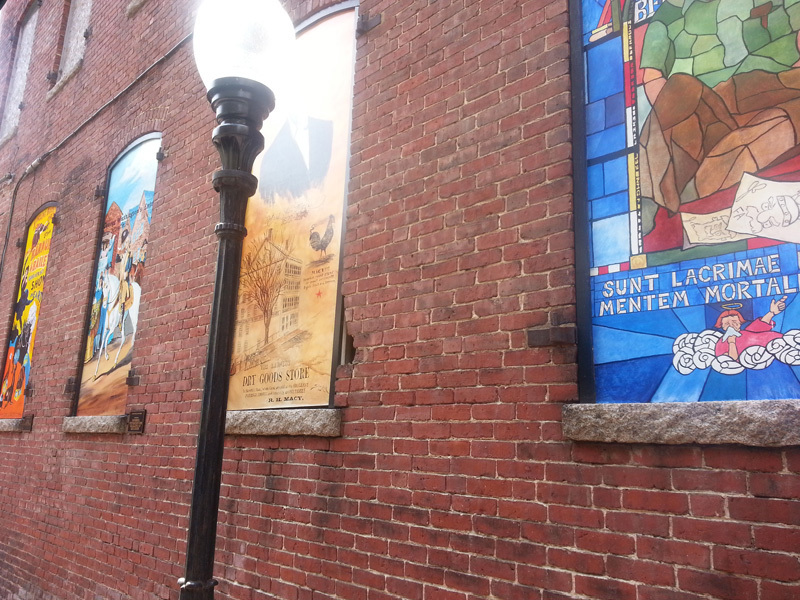 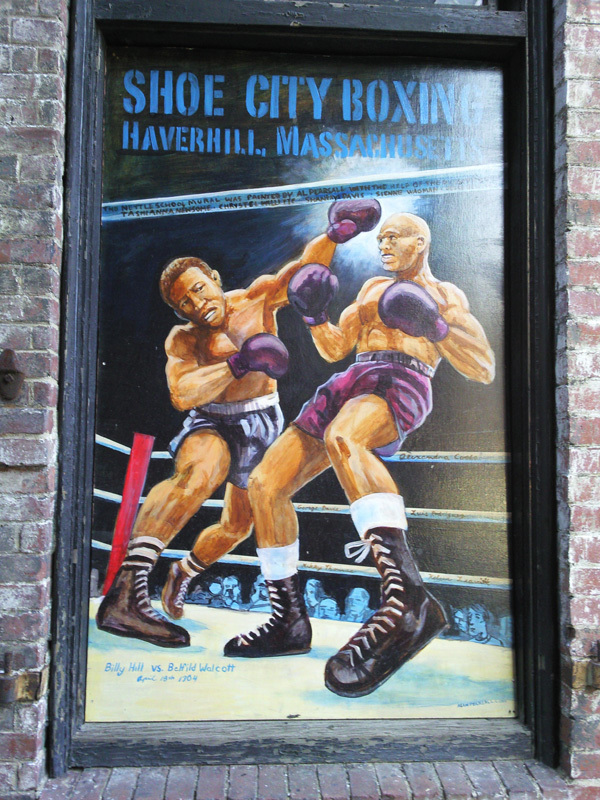 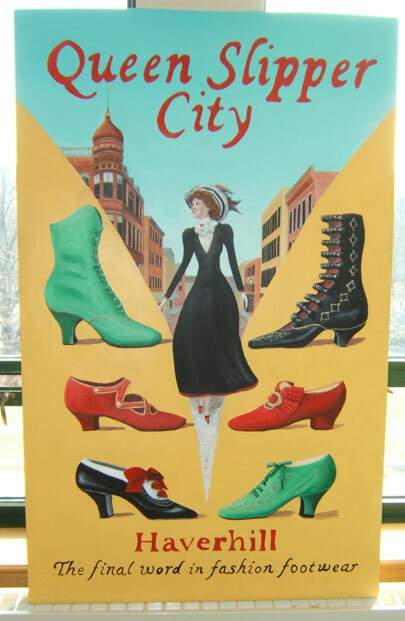 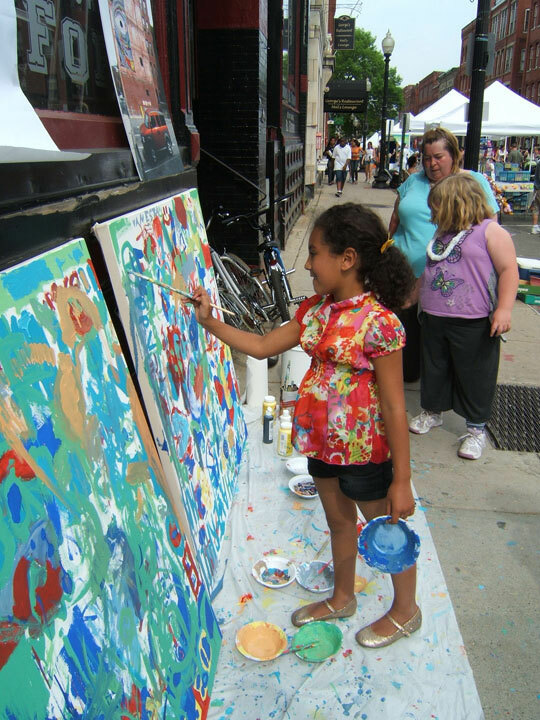 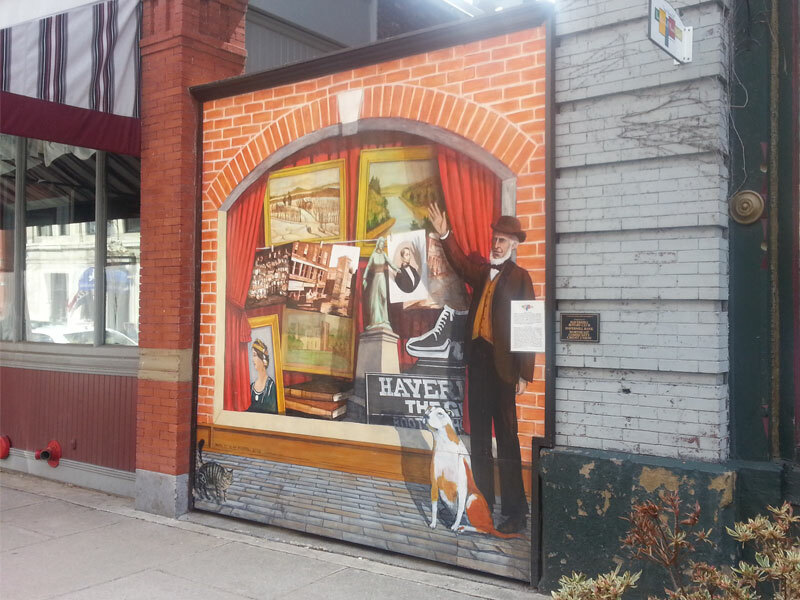 Download the Haverhill Mural Project Downtown Walking Tour Map. 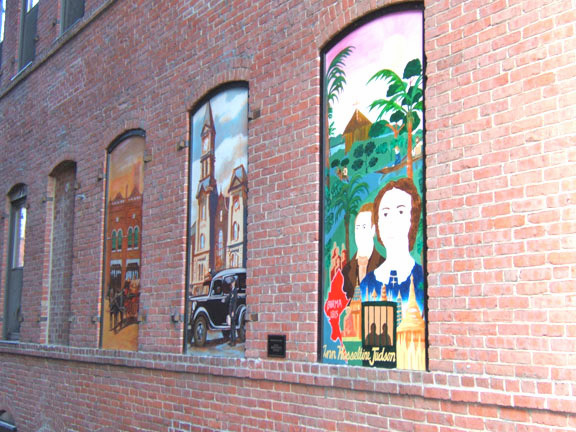 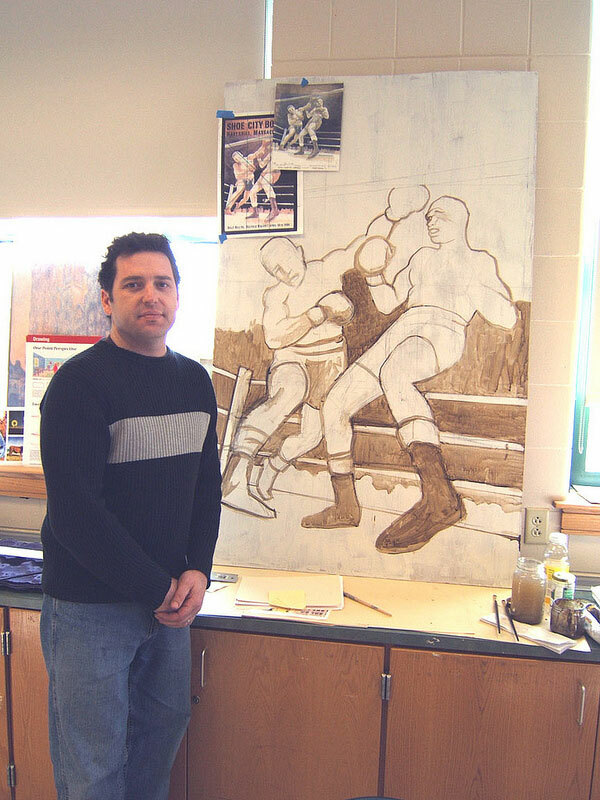 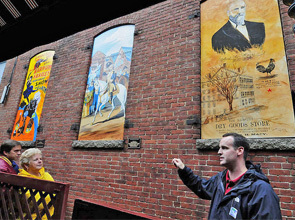 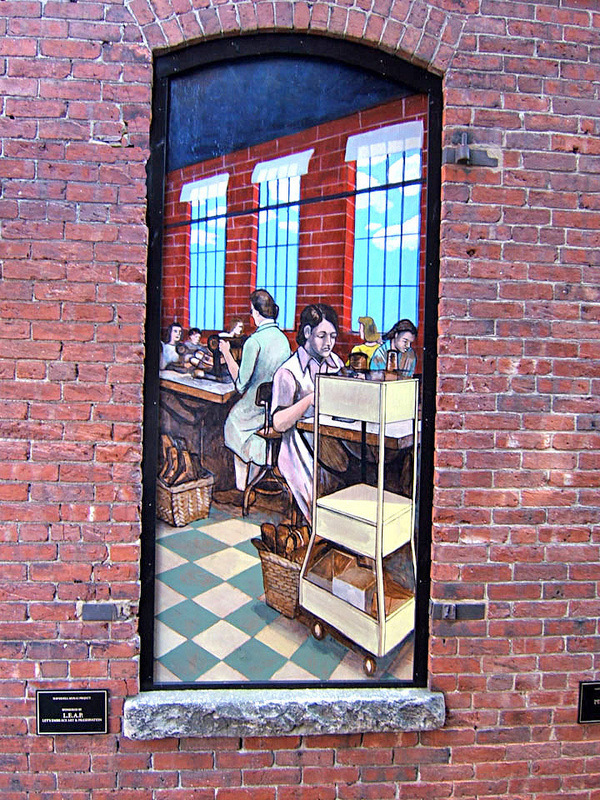 The first phase of the project was unveiled in September 2007, when six murals depicting colonial times were unveiled at 100 Washington Street, adjacent to the Tap Restaurant. 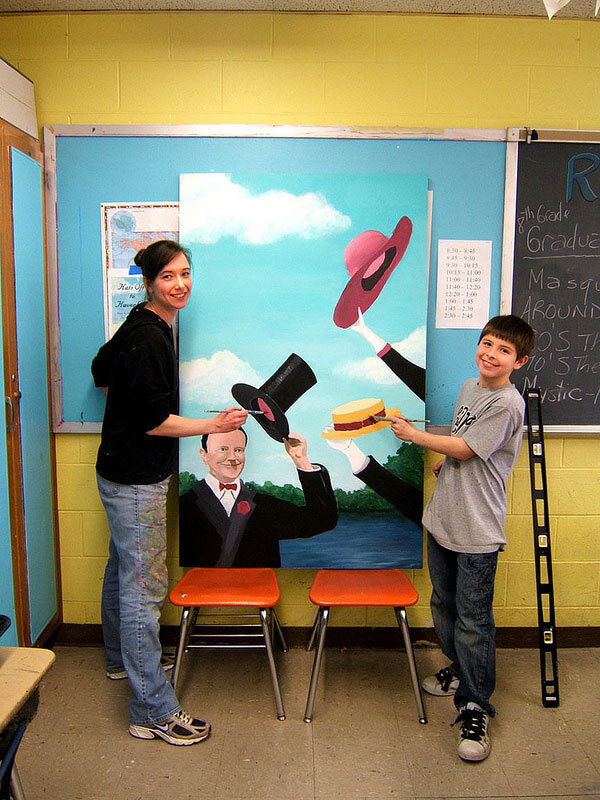 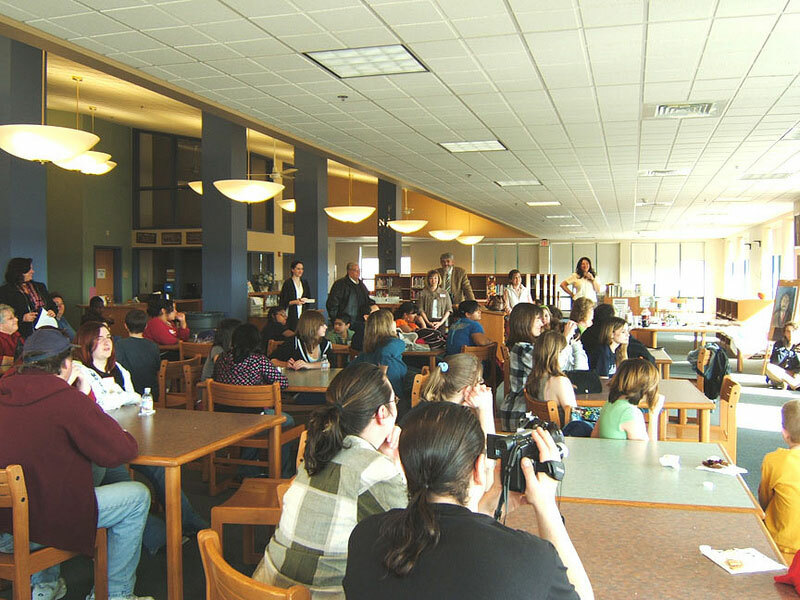 Another 24 murals were commissioned and created by Discovery Club students, along with local and regional artists. 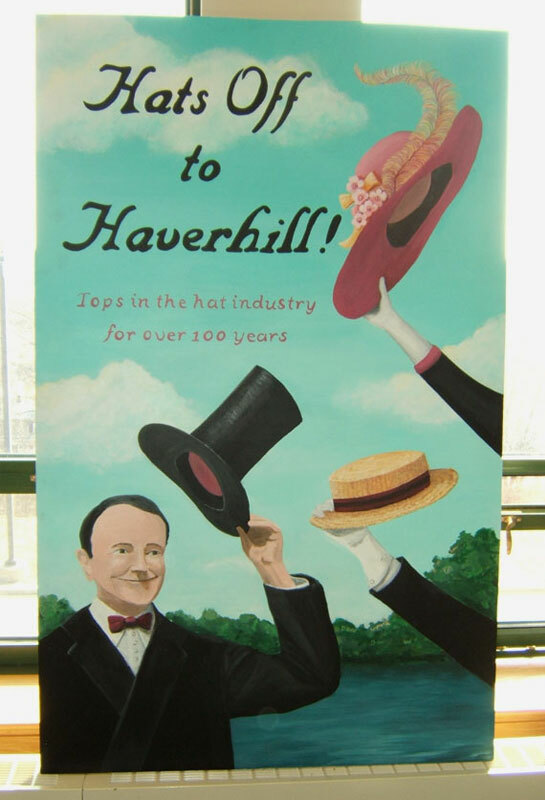 This community banner was also featured in a Boston Globe article reporting on Haverhill’s revitalization. 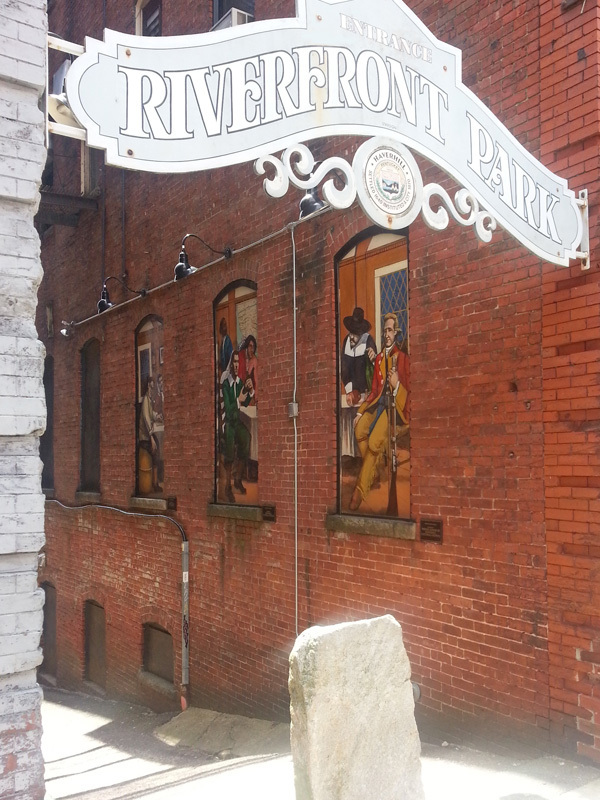 The River Path, by Haverhill sculptor Dale Rogers, was brought to downtown Haverhill with the goal of connecting historic downtown with the mighty Merrimack River that runs through it. 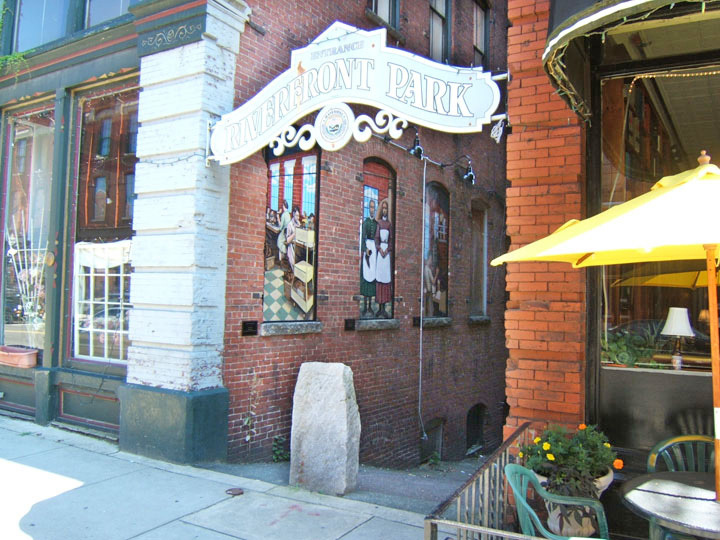 The sculpture links a Haverhill visual artist, Dale Rogers, with a Haverhill literary artist, John Greenleaf Whittier, in a very visual and very prominent presentation. 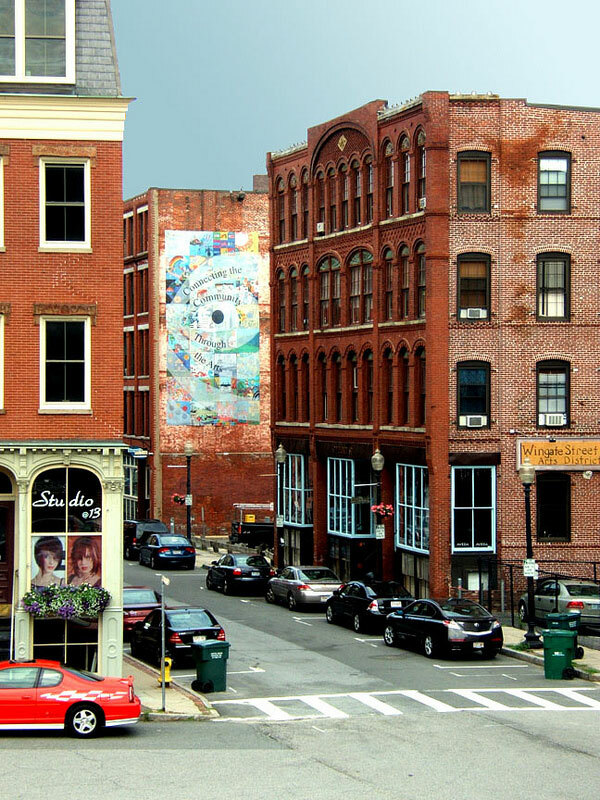 PublicArt.TeamHaverhill.org — an interactive guide containing a searchable directory, map and more!